You probably remember Moe. She was estimated to be around 4 years old in 1999 when my mom person got her from an adoption event. 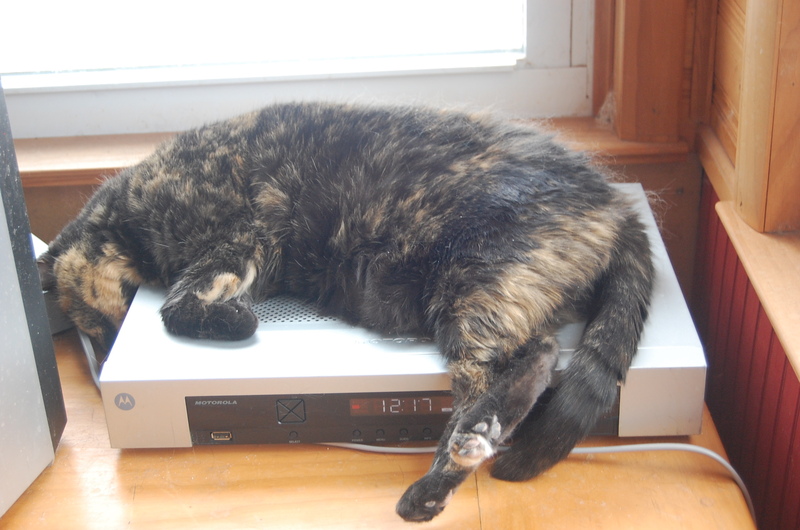 Being elderly she’s slowing down, but she loves to lay in the sun puddle on top of the warm cable box. I’m not sure how this is possibly comfortable, but she’s happy and that’s all that matters. This isn’t her only creative sleeping position either! It might be warm but it sure isn’t soft. Millie & Walter recently posted..Happy Thanksgiving! Hey, warm is warm! Especially for older kitties! Does she drape herself over the remote thingy? Just keep her off the Christmas quilt, Oskar. Maybe that was the way to get all new movies and shows first? It’s supposed to be really cold here next week. Thanks for this tip! BOL!! Oh, I wish I could do that!!! Butts, I thinks it would break…. 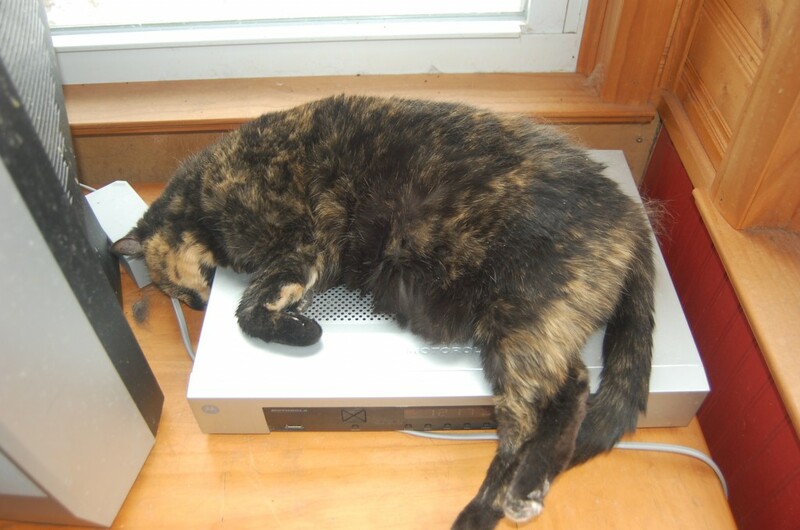 Can kitteh change channels wif tailio? Don’t ask. We are as baffled with their flexibility as you are.